Long Pulsed Dual Alexandrite laser is able to provide 2 modes 755nm Long Pulsed Alexandrite Laser, 1064nm Long Pulsed Nd:YAG Laser in a single platform. 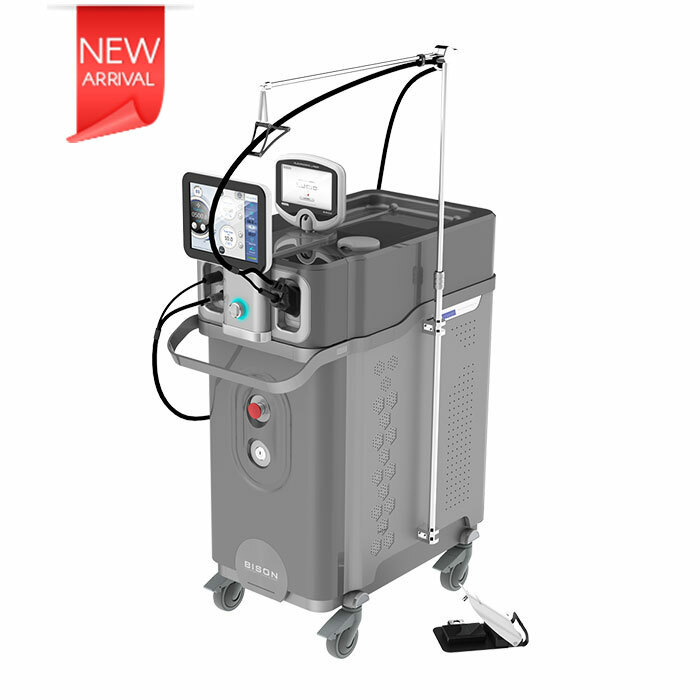 Dual Accento is the unique device combining 755nm Long pulsed Alexandrite and 1064nm Long pulsed Nd: YAG. Alexandrite 755nm long pulsed wavelength due to the high melanin absorption is effective for hair removal and pigmented lesions treatment. 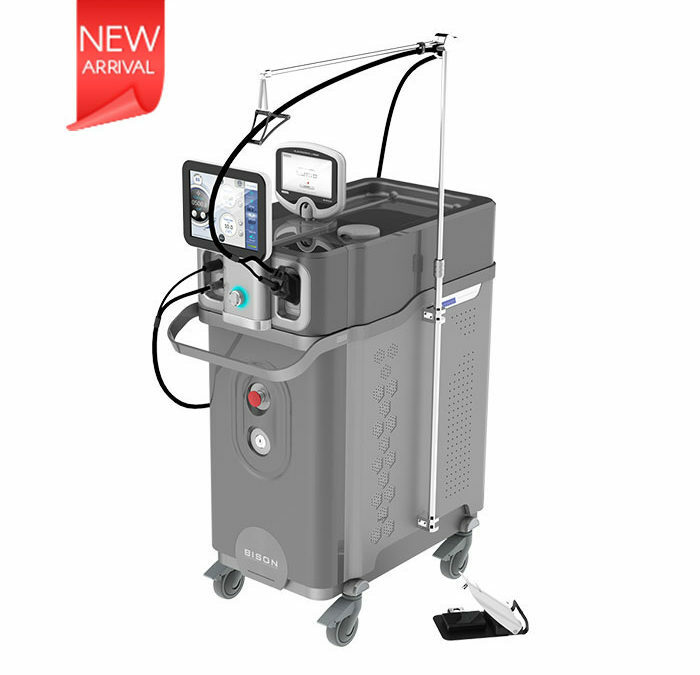 Nd: YAG 1064nm long pulsed wavelength rejuvenate skin by stimulating the dermis layer, effectively treating vascular lesions. For user convenience there are three options: finger, wired foot or wireless foot switches. Finger switch is more precise and safe. Wireless foot switch very convenient and portable, operated with encoded signals using worldwide 2.4 GHz ISM band frequency. Hair removal procedure demands for high energy continuous treatment which cause skin burns or PIH as the side effect. To prevent this side effects a user can selectively choose one of the cooling methods and setup mode for cooling spray. There are two cooling methods: Cryogen gas or a Cryojet device. The user can choose one of each. Cryojet device with holder is an optional product. Flat top Beam is an unique high-technology which makes the laser not only irradiates energy equally but also reduces side effects such as PIH. Attaching the camera with Hi-flux LED light on the handpiece, user can check the lesions less visible to the naked eye in real-time through a sub-monitor. And user can see more accurately the treatment area five times magnified image.